Gill secured enough votes to hold the seat in Birmingham Edgbaston for Labour. Preet Kaur Gill became the first Sikh woman to be elected into the Houses of Parliament after last Thursday’s snap election. Gill secured a majority of 24,124 votes to hold the seat in Birmingham Edgbaston for Labour with a majority of 6,917. Keeping education cuts amongst her top priorities, said she had a good team of people and had a really “strong” campaign. “Theresa May clearly thought she had an overwhelming majority, but I saw a different mood out there when campaigning,” she said. The seat had previously been held by Gisela Stuart, who stepped down after almost 20 years in the House of Commons, when the election was called. Gill explains: “It’s been 19 years since Gisela’s iconic win and I want to build on the great work she did. Being the first female Sikh MP was also a “huge privilege” and she said she hoped she would become “one of many” who would now come forward and get involved. “The fact there has never been one before, it’s a big issue,” she added. Gill’s father settled in Birmingham in the 1950’s and later went on to become a renowned local bus driver on the number 11 route. “He was president of the Smethwick Gurdwara… and was involved in the community. He was very passionate and active and always said you should contribute and try to give something back” She adds. Sikh business leaders in the West Midlands have congratulated her on her win, adding they now felt represented in the Government decision making process. Black Country businessman and local enterprise board member Ninder Johal said it was a “breakthrough” for Sikhs. “The Sikh community for generations has been a vital contributor to the economy and community, but for too long not represented in the decision making process in the Houses of Parliament. Following the good news, Gill said she went to a temple to give a prayer of thanks for her success followed later on by the school run as “life just carries on”. 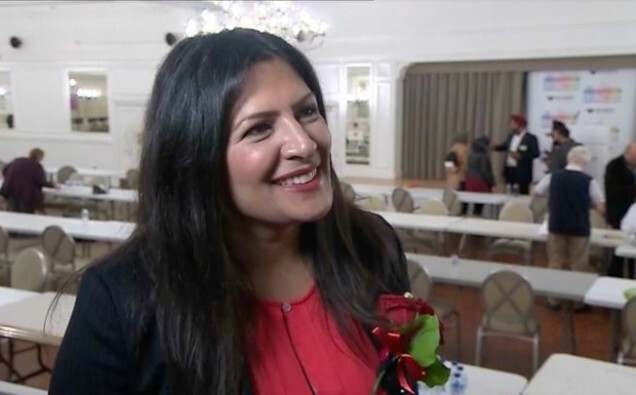 As well as Ms Preet’s triumphant win, Sikhs are celebrating Tanmanjeet Singh Dhesi’s win in Slough, increasing Labour’s share of the votes by 14.4%.